Pretty faces are alarmingly ubiquitous in the world of fashion however it's identifying the ones whose beauty resonates and stays long after the final turn on the runway that is harder to decipher and translates ultimately to true staying power. 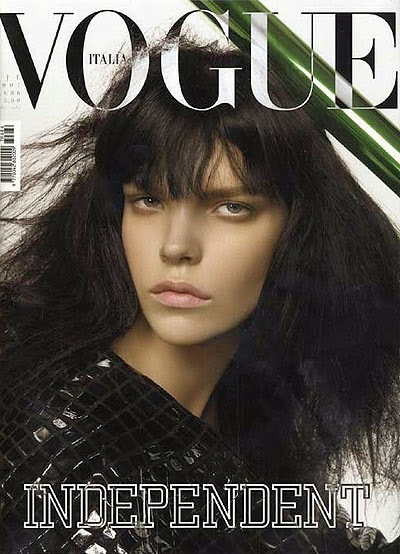 Industry veteran Meghan Collison has earned her place amongst modelling's elite hierarchy as a "model as muse" having been championed by model-maker Steven Meisel throughout her career via five riveting Vogue Italia covers, countless editorials, and multiple campaign appearances for Prada, Balenciaga, and Moncler. Discovered at age 18 via a model search in her native Alberta Canada, Collison relocated to New York in 2007 and has been a firm fixture on the international runway circuit since. Appearing in the pages of the who's who of high fashion and indie publications captured by Meisel, Craig McDean, Lachlan Bailey, Steven Klein, and Mert & Marcus, Collison's extensive resumé speaks for itself. 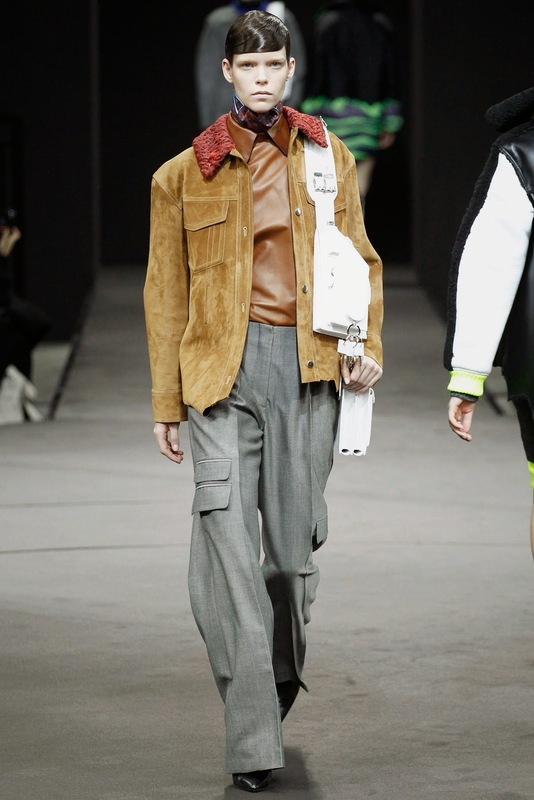 At age twenty-six, Collison's blue chip appeal shows no signs of diminishing having recently come off a stellar Fall/Winter 2014 season appearing in 31 shows including Alexander Wang, Narciso Rodriguez, Helmut Lang, Rodarte, Dries Van Noten, and Lanvin. IMA first encountered Collison at the Oscar de la Renta's Spring/Summer 2013 castings where her razor sharp angularity and otherworldly beauty stood out in the best possible way. Standing at 180 cm Collison is a divine jumble of long gangly limbs tempered by an elegant swanlike repose that has fashion denizens enthralled each time she descends down the runway. 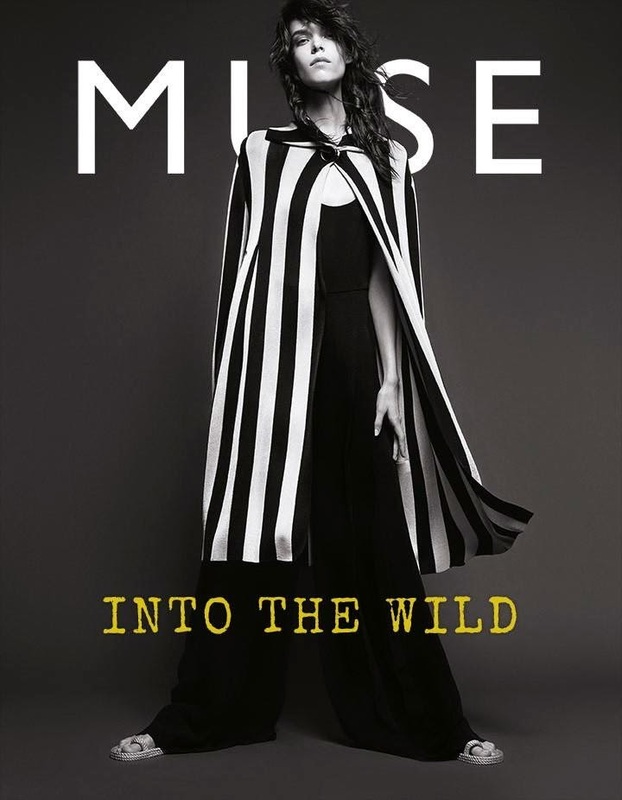 In an industry notorious for endorsing and extolling an at times narrow tunnel vision of beauty, it is Collison's striking left-of-field looks and the embrace of her uniqueness that places her in league of her own. IMA had the opportunity to chat exclusively with the "charming and disarming" Collison about her stunning modelling trajectory, the role that social media plays in her professional and personal life, her love of vampires, elves, and aliens, and the key industry professionals who have guided and inspired her along the way. "Be a Fruitloop in a world of Cheerios"
Inoubliable Model Army (IMA): Hi Meghan, thank you for chatting with IMA. What have you been up to since the Fall/Winter 2014 season wrapped and do you still get a buzz out of Fashion Week even after all of these years spent navigating the show circuit? Meghan Collison (MC): Since the Fall/Winter 2014 shows wrapped up I spent a couple extra days in Paris shooting a few editorials and enjoying the 55 degree weather they had then! Once I got back to NY, I played catch up on bills and laundry because I was travelling for so long. Haha sometimes being an adult is no fun! Also saw friends that I hadn't seen in a bit. It's been good. IMA: For those who may be a little unfamiliar, would you mind filling IMA in on your backstory? IMA: How long have you been modelling for and how were you initially discovered? Was modelling a burning ambition of yours growing up and could you have ever imagined that you would achieve such longevity in the fickle world of modelling? MC: When I was 18, I entered a model search hosted by my mother agency Mode Models. Much to my surprise I won (I only entered because I fit the height requirements and my mother encouraged it). I first came to NYC the summer of 2007 and have been modelling ever since. No I wouldn't say modelling was a "burning ambition" of mine growing up but I certainly had an interest in models and fashion. I took fashion studies and sewing for most of high school. As far as longevity goes, I try and take things day by day. I am SO grateful for all the amazing people that I have met along the journey and that continue to support me. Everything I have achieved I have had help and guidance along the way. It's always important to remember this. I'm forever honoured at every opportunity that comes my way. 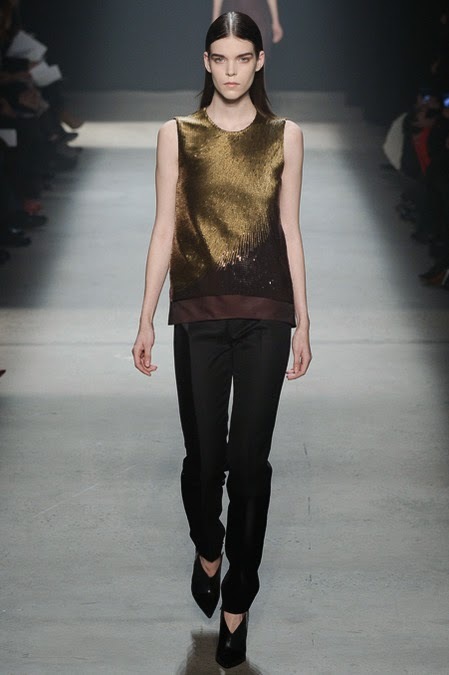 IMA: At the recent Fall/Winter 2014 collections you continued to show serious blue chip cred at Alexander Wang, Helmut Lang, Narciso Rodriguez, Giles, Lanvin, Dries Van Noten, and Anthony Vaccarello! Was Fashion Week a complete blur or did this past season hold any significant or memorable highlights? MC: Fashion Week is definitely a blur! You go go go constantly. But each season definitely brings great memories. I mostly enjoy getting to see my favourite people in a different element than a photo shoot. IMA: You've modelled consistently since your career began, aside from a break in 2008 when you pursued studies in Psychology. What led you to select Psychology and how have you been able to apply elements of the skills you attained to your professional experiences as a model? MC: Wow, 2008 was a long time ago ;-)! Honestly at that moment in my life most people I knew were in school. In my mind I wanted to try a few courses to see what it was about. I picked psychology and sociology randomly. It was interesting no doubt, but I discovered I much prefer travelling. But I guess that's what life is about. Trying new things. Finding out what you enjoy and what you don't. IMA: Early on in your career you were championed by Steven Meisel who photographed you for Vogue Italia's October 2007 issue and most recently for the magazine's July 2013 edition devoted to "25 years in Fashion". What have been the most valuable insights into modelling and the industry that you gained as a result of your on-going collaborations with Steven Meisel? MC: Honestly what I've learned the most from Steven is that you can be amazingly talented and you can let the work speak for itself. I respect this so much. I aspire to just this. The support he's shown me is so humbling. It's hard to put into words. IMA: Models as Muses are a rare breed in an industry inundated with so many pretty yet unmemorable new faces. 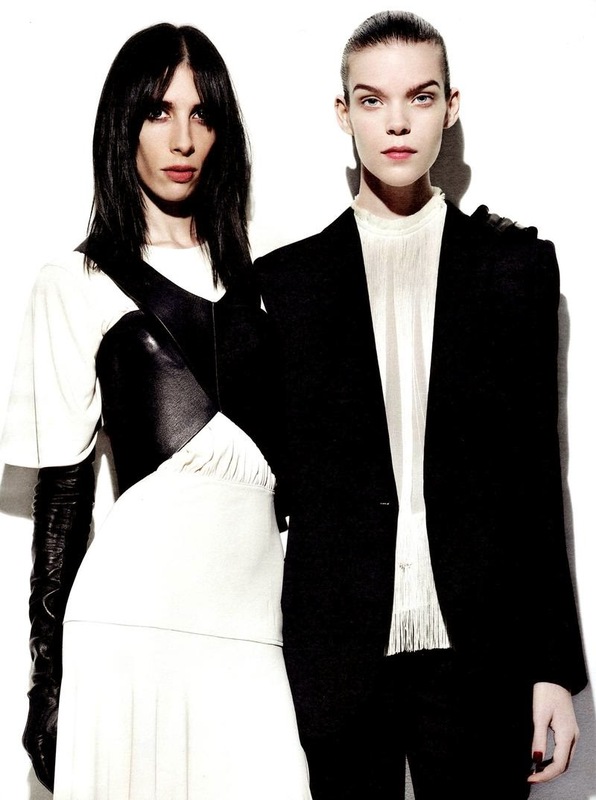 When you first entered modelling's fray, your looks drew comparisons to top models Freja Beha and Querelle Jansen. Today, emerging newcomers like Annemijn Dijs (with whom you shared the runway at Alexander Wang and Missoni's Fall/Winter 2014 shows) hold you as an inspirational modelling figure. What is your definition of a "Model as Muse" and what advice would you offer to your fellow newcomers as they embark on their own modelling journeys? MC: My definition of a "Model as Muse" is that there is something about the person that makes you look longer at their image than just a quick glance. I love unique beauty. I love people with faces that aren't traditional, but there is something about them that just grabs your attention. There is a new editorial out that I am part of for i-D Magazine shot by Nick Dorey and with styling by Jack Borkett. They titled the story "Be a fruit loop in a world of Cheerios". I really love it! Embrace what makes you unique and stand out. That's the advice I would give to new models. IMA: You've appeared in the pages of Dazed & Confused, W, Interview, i-D, and the Italian, British, American, Russian, German, Chinese and Japanese editions of Vogue! In addition to campaigns for Prada, Balenciaga, Proenza Schouler, Acne, and Mulberry. What have been the most defining moments of your modelling career so far, and is there anything else on your modelling bucket list that you'd love to tick off? MC: You listed a lot of my defining career moments in question. I'd like to add my Italian Vogue covers with Steven Meisel to that list as well. I've really gotten to work with the best people in the industry and am so thankful! I'd love to work with Carine Roitfeld one day. I love it when I see a call sheet and I get to work with someone I haven't worked with yet. 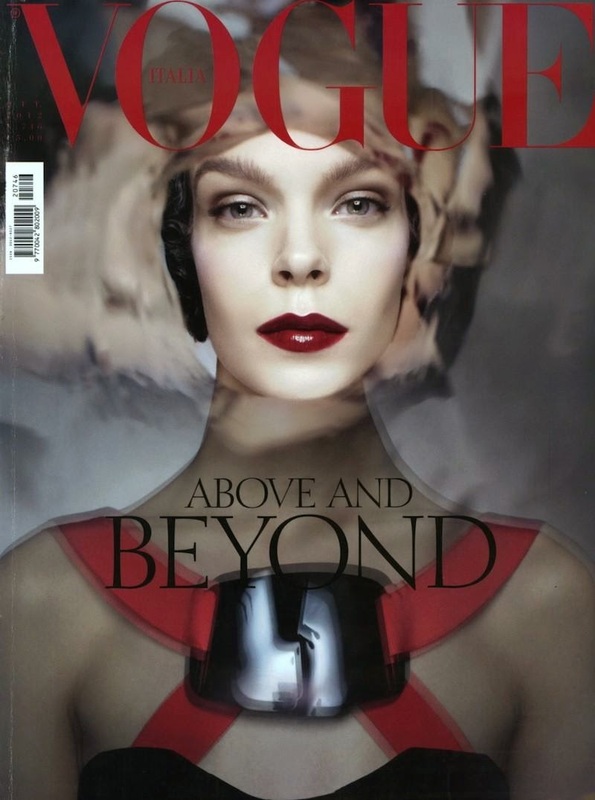 IMA: The latest edition of American Vogue reports on the emergence of a new generation of top models whose clever use of social media has increased their public profiles exponentially. What are your thoughts on the rise of social media as a tool for self-promotion and how have social media tools like Twitter, Facebook, and Instagram impacted on the ever-blurring boundaries between your professional and private life? MC: I don't have Facebook. It drove me nuts haha! I do have Twitter but I am not very consistent in using it. My favourite social media is definitely Instagram. I try not to think too much into using Instagram as a platform to elevate myself. I've never been very good at self-promotion. You're right when you say that the line between a private life and a professional life is blurred. For me I post my friends, family, and my cat (and yes the occasional selfie). I also randomly post new editorial work if the people I worked with also have Instagram. For me it's just a fun visual diary of my life. I like scrolling back in my photos and smiling at the good memories from 105 weeks ago. It's a way of showing the "world" the best memories of your life. I don't actively think about getting more followers or likes. I don't even have my last name on my profile haha! IMA: Beauty is in the Eye of the Beholder. Where do you find Beauty in your day-to-day life, and are there any models whose beauty you are particularly in awe of? IMA: Fashion is constantly evolving and is fickle by its very nature. Which fashion labels have been a constant in your wardrobe throughout the years and how would you describe your own fashion sensibility? MC: I love looking for vintage clothing and thrift stores. My style is very laid-back and it changes depending on my mood. Sometimes I dress really girly. Sometimes I just wear jeans and converse. My favourite eras are the 60s and 70s for inspiration. As far as fashion labels go, I love Proenza Schouler purses. Helmut Lang is always classic. I have gotten a lot of designer pieces over the years that are great and despite the trends still stay fashionable. IMA: Behind every top notch model stands a battalion of dedicated agents and bookers. What do you appreciate most about your management team at Next Models and are there any key words of advice from your agents that have stayed with you over the years? MC: Everything I have achieved I have had help and guidance along the way. I owe a lot to the amazing agents that work with Next that give me and the other models incredible opportunities. When you walk into the office there is such a good energy. Thank you Next for all your love and support!!! I can't think of any specific advice that I have received but they have always been there to listen and help in any way they can. Dawn from Next Paris once told me, "Sweetie, you are charming and disarming" and I've never forgotten it. MC: I'd love to be remembered for my eyes and my kindness.